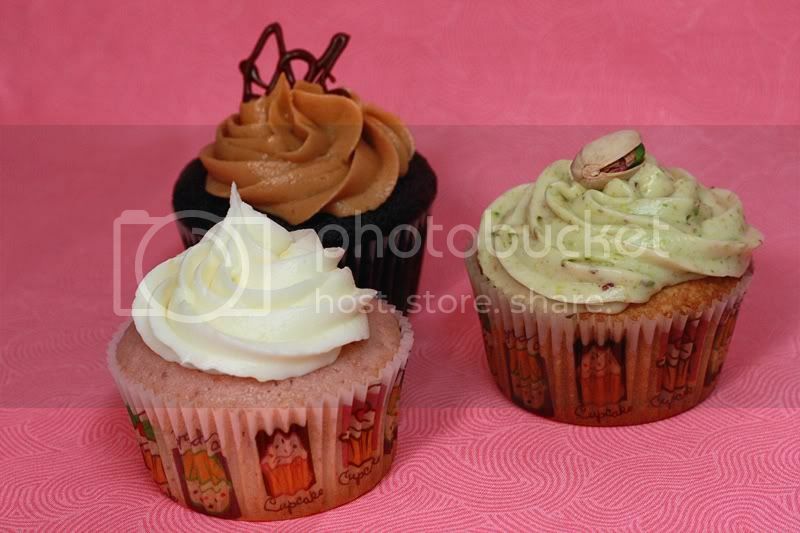 ...better known as Strawberry Basil Lemonade Cupcakes, Dark Chocolate Cupcakes with Peanut Butter Frosting, and Pistachio! Pistachio! 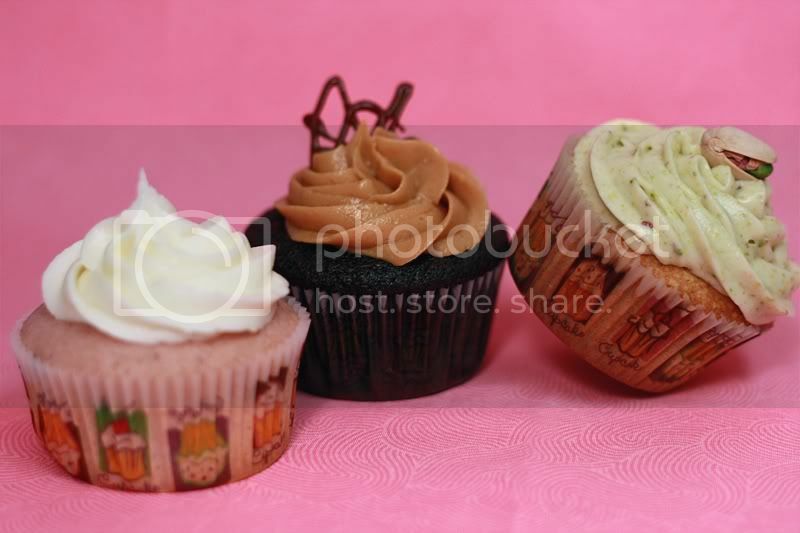 Cupcakes have been driving me crazy today. They have just worn me out. Thus, no new recipe today. Be on the lookout for posts on these guys in the very near future!